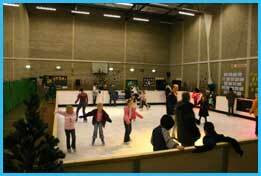 This year Natalia and Alexei bring an indoor skating rink to Haslingden for the Christmas and New year holiday. The talented pair struggled to find the funding and sponsorship they needed until they were able to arrange this festive ice event with Rossendale Leisure Trust. A temporary ice rink will be open to the public on Boxing Day when there will be free ice skating for children. The rink will stay open each day until 2 January. Rossendale Children's Day Grand Raffle draw will take place on the last day of the ice event on January 2 at 4pm and as usual there are some fabulous prizes.